I am back from Haiti. I had a great time and can’t wait to go back! I now have a good idea of what to do next time I go. The kids loved the library so much and have already started requesting types of books. I wanted to thank all of the generous donations people made finding, buying, and donating books! 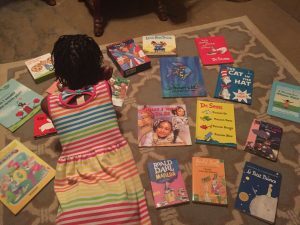 The kids loved all the books and loved getting to choose between French, English, and Creole. By the time I left the library had 167 books in it. We are all incredibly grateful and thankful for everyone who bought books for the kids.